Maybe your career growth has stalled and you are looking for a way to give it a boost. 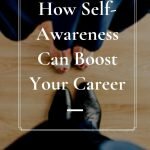 If you want to boost your career, increase your self-awareness. When most people think about self-awareness they are imagining better personal skills related to happiness and relationships. And it’s true that when you are more self-aware, you make better decisions and do things that positively affect your happiness and relationships. However, that is not all. 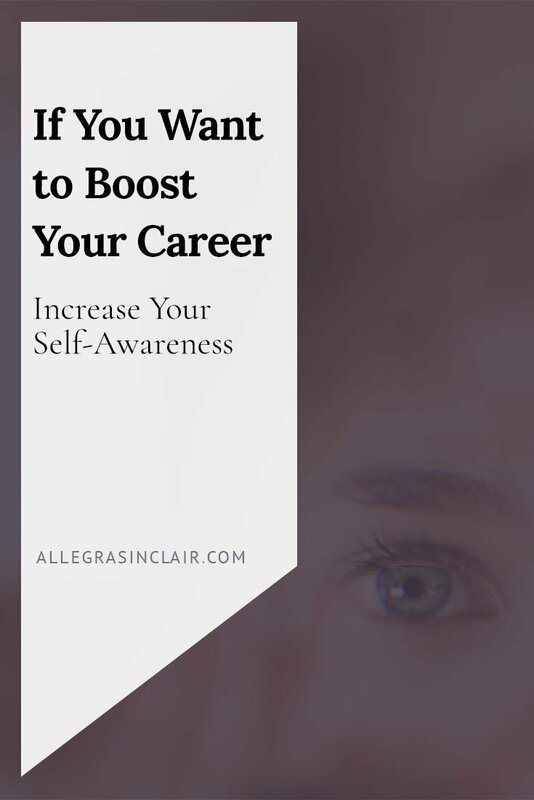 A good sense of self-awareness can help in every aspect of your life, including your career. How does self-awareness boost your career? 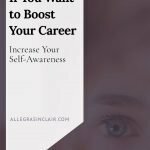 Self-awareness helps you choose the right career path for yourself whether you’re just getting started or you’ve already achieved some career success. Really knowing yourself can help you identify a career that you will find both satisfying and financially rewarding. There are many different ways to determine your best career path. You can take a personality test or complete a couple internships. We tend to think there is only one career path for ourselves but the truth is, we can try on several paths, just like sweaters in a store. Knowing all this stuff would be awesome, right? 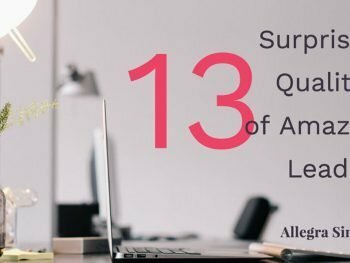 Increased self-awareness can give you these insights and more. You can also talk to people that you trust and get their insights about your strengths, skills, and super powers. When you’re self-aware you are able to listen to feedback with an open mind. You can receive feedback without getting defensive, shifting blame, or feeling like you’re being attacked. You can take responsibility for your work and take steps to both enjoy the praise and positively respond to any criticism. Self-awareness also helps you focus on your strengths and find ways to minimize or eliminate your weaknesses. You will be confident enough to ask for help when you need it and will work well on a team with others because you know who you are and where you excel. Finally, when you are self-aware you get in the habit of listening to your inner voice. You instinctively know when something is right for you and when it isn’t. Listening to your inner voice you make decisions that support you, and avoid career choices that don’t fit. Remember those sweaters you got to try on earlier? You put back the sweaters that don’t fit, and you can avoid career choices that also don’t fit. 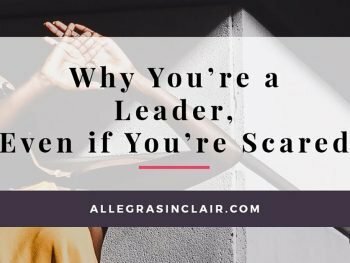 If you are in a career rut or you are looking for a career path that better fits your goals, needs, strengths and personality, then it’s time to look inward. 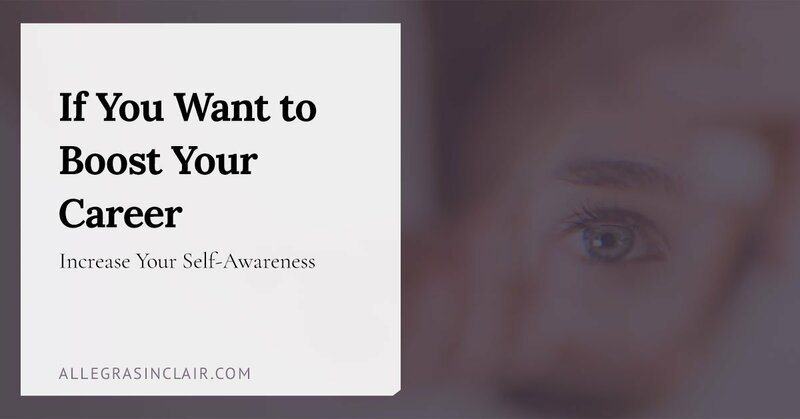 Take steps to learn more about who you are and become more self-aware. You can perform self-awareness exercises, work with a coach, and tap into your inner knowledge about who you are and what you want. The more you know about yourself, the better. When you know what you’re capable of, you can make the best choices for your relationships, career, and life. For example, at a very simple level, if you know that you are not detail-oriented you can create systems to compensate for that attribute, particularly if being detail-oriented is essential for your job. Likewise, knowing you’re an introvert can help you with your relationships, and help you find the best friends and co-workers to collaborate with. In short, the more self-aware you are, the happier and more supported you will feel both professionally and personally. 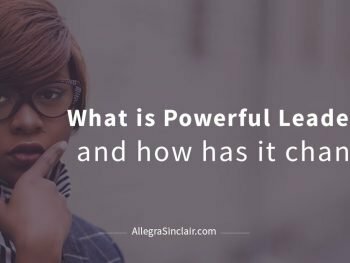 There are a variety of tools and exercises you can leverage to improve your self-awareness. Consider writing down or journaling about someone that you admire. Think about why you admire them. What do you find appealing about their personality, their strengths, their values, and their achievements? Amongst their qualities, what attributes do you feel like you already possess? Which ones do you want to acquire? If journaling doesn’t appeal to you, you might consider creating a video diary or using a voice recorder on your phone and talking it out. The objective is to put some thought into your answer to this question. It can help you find some delicious information about yourself. Consider your beliefs on everything from God to money. What do you believe and why do you believe it? You may find that some of your beliefs are no longer true and that you have new or different beliefs. You may also find that some of your beliefs are integral to who you are and are very important to you. Again, you can journal your response to this, you can think about it and meditate on it, or you can create a video or audio journal. You choose the method that works best for you. Boosting your career by getting to know yourself better, will take a little time and effort. Life gets busy and we become involved in the lives of those around us. Day-to-day it’s easy to put your own thoughts, needs, and wants aside. But, if you take the time to become more self-aware, you’ll be a happier and more successful person.